My boys are always busy after school. This time of year it's basketball and more basketball for them. One right after school and the other after school until almost 5pm. Then there are game nights for my oldest. When they're in town for a game, I grab my youngest little guy and we head to the game. Unfortunately, the games can go pretty late which means dinner is put on the back burner (no pun intended). When I went shopping at Walmart after I got home from work this weekend, I had to keep in mind that the games were going to get into full swing for the next two months. I need meals that are going to be fast and easy. Mostly for Doodle and myself. Buddy isn't a chicken patty eater and since he's at the games he has to eat foods that are able to go to school with him. I know the last few years of traveling basketball means we're gone for a long time at night. If Doodle and I are going to go to any away games, we needed to find something that we can make really fast and have on the go for dinner. We don't want to miss any of Buddy's games. I started shopping needing to drop off a couple of Redbox movies and a Wii game. I also had a massively large plastic bag filled with collected plastic shopping bags to recycle. I love that Walmart has the recycling bins right when you first walk in! I started off stocking up on Honeycrisp apples. If you haven't tried them, they're a Minnesota favorite! Then I started searching for the Tyson Mini Chicken Sandwiches. I wasn't sure where to find them because there are so many frozen food sections. I started off with the open cases because they were the first ones I came to. After not finding them there, but seeing some really yummy chicken strips, I headed over to the closed in freezers. Success!! Found them next to the Anytizers made by Tyson (which I also think are yummy!). I didn't know there was the option of getting a Tyson Mini with cheese on it! I decided to wait on that one because I wanted to make sure the "plain" ones were a hit. Today school started up again, and the first game will be this Friday. I figured the best time to try out the sandwiches was before we needed them so while Buddy was still at practice, I made all 4 packages. 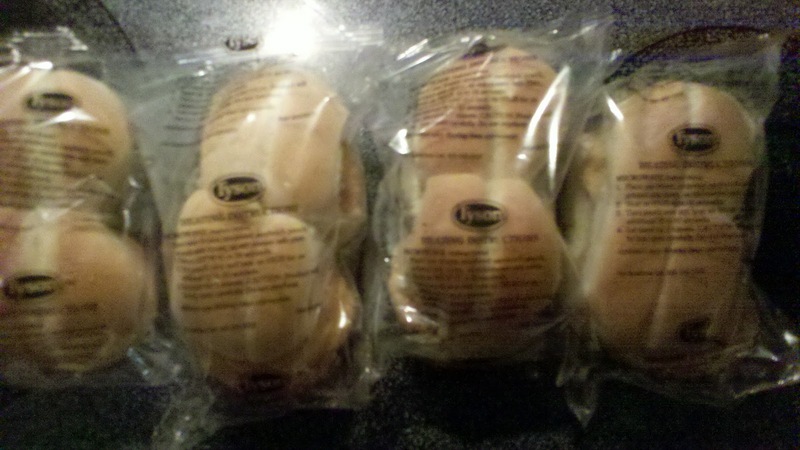 Unfortunately, I'm not so hot at reading instructions right away so I opened the plastic wrapping around the first set of sandwiches. Oops! Got the rest done and after I got Buddy home we started to eat. 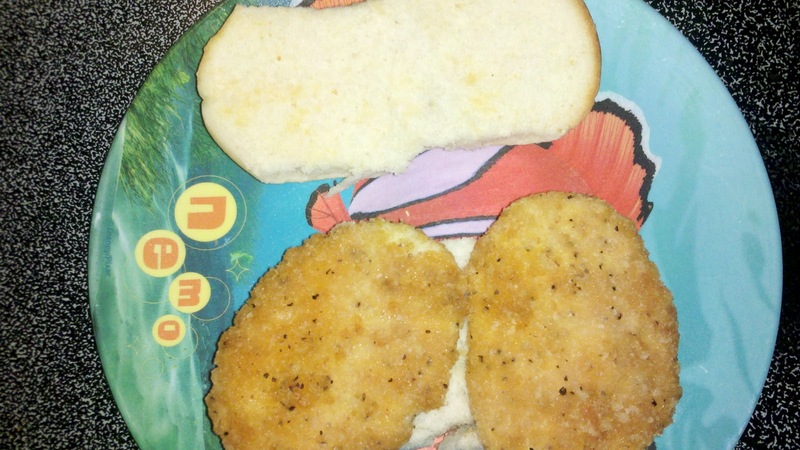 What I didn't realize, because I've never made these before is, Buddy doesn't like chicken sandwiches. Oh, ok. Well, I wondered if he'd even try one. Yah, took one bite and asked for something else. Ugh...fine. Then I turned to Doodle, not excited to hear what he might think. Guess what? He loved them!!! I was so excited. I did offer him toppings to put on it, but he likes everything plain as it comes so he went without any extras. I on the other hand love to load up my food. Unfortunately, I forgot I was out of spinach and tomatoes. A travesty, right? But guess what? I had avocado so that more than made up for what I'd forgotten. So I added Miracle Whip and avocado and dug into my quick dinner. I was honestly surprised at how flavorful they were! I was imagining mine loaded with other toppings and I ended up eating the other two sets Buddy didn't eat. Yes, I can be a bit of a piggy, but these were seriously good. They were super quick to make. 45 seconds on each side in my microwave did it for us. The first one I made was a bit moist on the bottom, so we just kept flipping them over on the plate until it dried off from being in the bag. These Mini Chicken Sandwiches are going to be perfect with us being on the go through the winter! I think they'd also be perfect at work on my 10 minute breaks. Seriously, you can't cook much in under 5 minutes and these would give me time to eat and not rush and give me that fill to make it through the rest of my day! 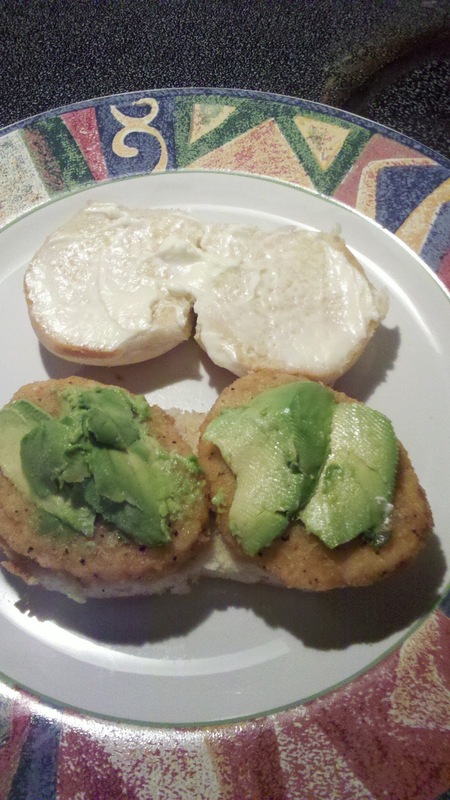 What craziness do you have going on in life right now that leaves you scrambling for something quick to eat? Let me know and check out my entire shopping trip! I am always looking for quick dinners... we have basketball nights too and are about to add gymnastics! Last night we had chicken quesadillas with a little bit of cherry preserves, craisins and swiss cheese. YUM! mondays and tuesdays are kinda hectic and we're expecting another day at least to get crazy. I like one pot meals or things like baked ziti that can sit or a while or slow bake. I'm not a prepared food kinda person but sometimes have the need for quick meals too. These would be great for busy nights - so quick and you can top them a million different ways.